Web hosting provider ServerPro has been compromised and completely defaced by hacking group named "Team L0g!cs". ServerPro boasts to have over 200,000 clients over a 10 year stand. 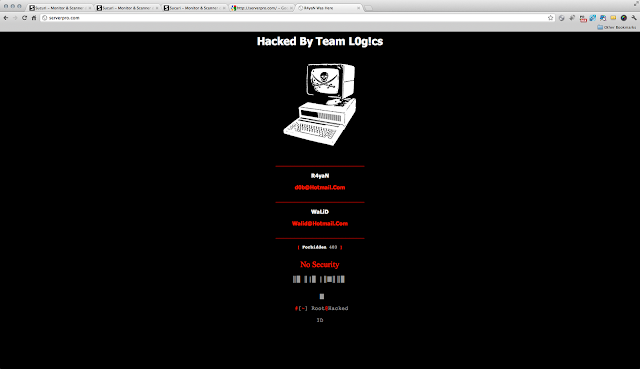 Shown Defacement page that showcases information about the hack and the group behind the attack, along with some nice ambient music. The attackers were even nice enough to leave behind a contact email in case you have any questions. If we Proceed by ignoring the warning, Visitors can see Deface Page still on the page.